Welcome to the MAGLUE website. 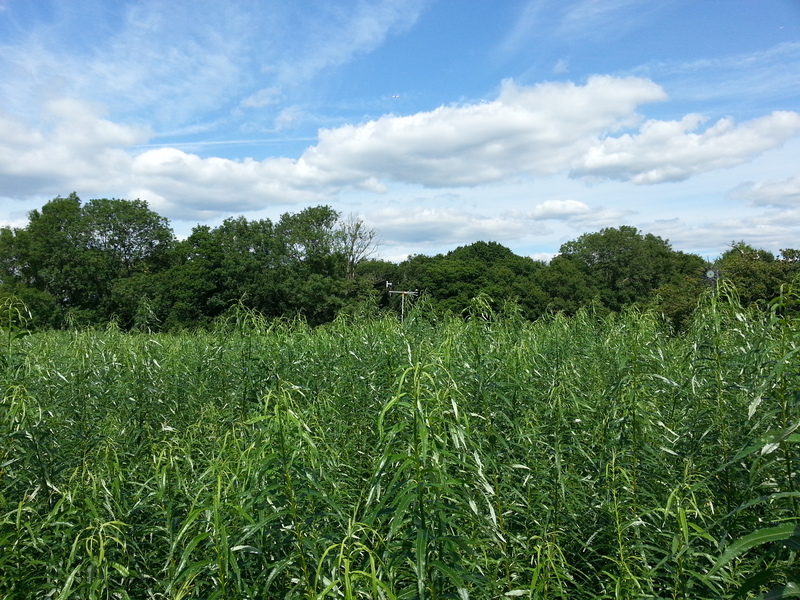 MAGLUE is a collaborative project funded through the SUPERGEN bioenergy hub, EPSRC, and the Research Councils UK (RCUK) Energy Programme to research the effects of bioenergy crop growth and their impacts on GHG emissions. The project kicked-off in March 2015. The UK is committed to an 80 % reduction of CO2 emissions relative to 1990 emissions levels by 2050 (1) and such dedicated second-generation bioenergy crops will contribute to the UK’s renewable energy generation (2) with a resulting change in land-use (3-5). Our previous projects, Carbo-BioCrop and ETI-ELUM, provided information to quantify how the land-use change to SRC or Miscanthus would influence soil carbon and GHG emissions. This provided key data to under-pin the production of ‘carbon opportunity maps’ for the UK and to identify the GHG balance when land identified as optimal for conversion is converted to SRC or Miscanthus. There remains knowledge gaps on the GHG emissions related to land-use change and the MAGLUE project aims to fill these remaining knowledge gaps. From the measurement of GHGs in our established field sites, analysis of our sites and data from non-UK sites and integration of data into modelling systems, we hope to integrate all information to help inform policy making procedures. Co-Investigators are Professor Iain Donnison, Robert Matthews (WP3), Dr Niall McNamara (WP1), Dr Raphael Slade (WP4), Professor Pete Smith (WP2), Dr Jake Snaddon and Dr Jeanette Whitaker (WP5). PhD student and MAGLUE researcher Amanda Holder discovers how digging holes can help inform policy decisions. This project was funded by the Supergen bioenergy hub and Research Councils UK with E.ON E&P UK Ltd as a project partner. The project consortium is co - ordinated by Professor Gail Taylor of the University of Southampton. Collaborating institutes are Imperial College London, IBERS Aberystwyth University, CEH Lancaster, University of Aberdeen and Forest Research.